Start the new school year off on the right foot. Eat Breakfast every day. Children should eat about 25% of their daily calorie intake at breakfast. Breakfast consumption is especially necessary for kids to refuel their bodies and brains, enabling them to pay attention in class and avoid the mid-morning slump. Don't skip Meals. Growing bodies need refueled about every 4-5 hours. 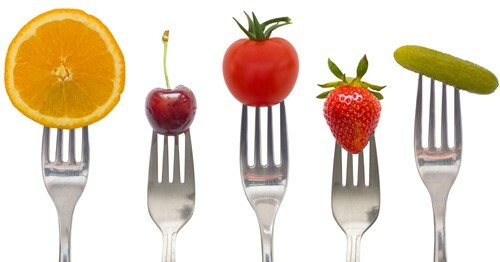 Nutritious snacks such as grapes, baby carrots or yogurt can be eaten in between meals to keep their bodies nourished. Eat the right kinds of carbohydrates. Carbohydrates provide our bodies with energy and are the foundation of our diets. However, not all carbohydrates are created equally. A variety of whole, fresh fruits, vegetables and grains are the best carbohydrate choices.